Birthplace : Champaign, Illinois, U.S.
Ludacris continued his output the following year, with The Red Light District (2004), another number one album loaded with hit singles ("Get Back," "Number One Spot," "Pimpin' All Over the World"). Disturbing tha Peace (2005), a second collaborative album featuring the label's roster of talent, was Ludacris' only release for the year, and he kept a relatively low profile until the release of Release Therapy (2006), an introspective album on which he vowed that he would be taken more seriously than in the past. Another chart-topper, Release Therapy included only two Hot 100-charting singles, yet both were smashes: "Money Maker" (number one), "Runaway Love" (number two). In 2007, Ludacris got a lot of airplay as the featured guest on Fergie's number one hit "Glamorous." A year later a mixtape with DJ Drama called The Preview preceded the November release of Theater of the Mind. The long list of guest stars included director Spike Lee and comedian/actor Chris Rock. His 2010 effort Battles of the Sexes was originally planned as a joint release with Shawnna, but when the female rapper left the DTP family, it became a solo Ludacris album. 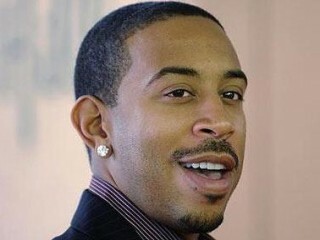 View the full website biography of Ludacris.